Are you tired of meetings that don’t start on time, don’t have a purpose, don’t stay on topic and don’t reach a decision? 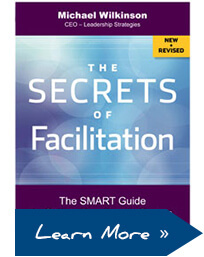 This meeting facilitation training course equips you with a step-by-step guide for increasing efficiency, effectiveness and creating a culture in your organization that revolutionizes the way people run meetings. We regularly conduct public classes that are open to individual facilitators or groups from within organizations. The course is conducted over two days and costs $1495. Please contact us or use our online chat feature for details. With a group of eight or more people, a private class may deliver a better value. With a private class on Masterful Meetings: Meeting Facilitation Training, we can customize the course and bring the techniques and tools you need to conduct a virtual meeting to you, at your convenience. Find out how we can tailor this course to meet your needs.